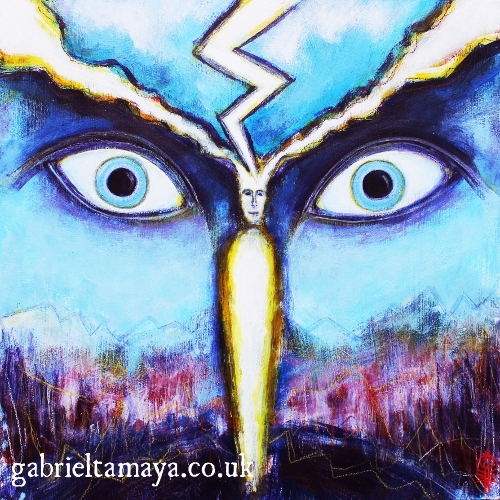 I have just finished this painting entitled ‘Tenger Etseg’ or Father Sky, Tenger Etseg is the chief deity in traditional Siberian and Mongolian shamansim. 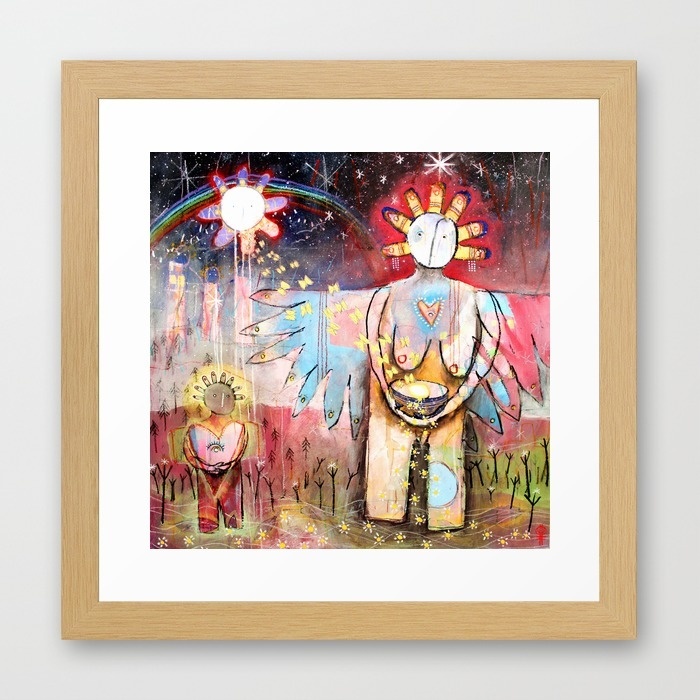 This painting originally came from a journey I made where I felt this powerful and benevolent guiding presence watching over me for the duration of my travels. It had a vastness and spaciousness that I could not comprehend or begin to wrap my mind around, but left a lasting impression on me. I do a lot of work with the elements in my shamanic practice, and I work with Father Sky as one of the five: Earth, Water, Fire, Wind, Sky / Space. For me Sky represents that vast infinite space that all of creation arises within, including the other four elements. Everything in existence (and everything that is not) is created by the dance of these elements arising in this space – in Spirit. I have found that connecting and working with the element of space is a really good antidote to over identifying with our external experiences and situations, to constantly trying to find ourselves outside of our self and getting caught up and lost in the world. Our bodies are composed entirely of these five elements, with the element of space arising in us as awareness. It is this awareness that is a very big clue to who and what we truly are, if we can only begin to realise that we are this awareness, this space that all of creation dances in and not all the stuff filling it. If we can start to really embody this and bring this experience into our everyday lives, even if only in a small way at first we will then begin to live truly spacious and free lives indeed! A great way of connecting with this element is simply to go outside, lie on the ground and do some sky gazing! May you all experience the joy of a truly spacious and free life!